The society holds a three day annual conference that is intended to offer attendees cutting edge and quality tax CPE (a minimum of 20 credit hours) led by state and nationally known instructors. Social events are planned to promote networking between tax and accounting professionals from across the state. 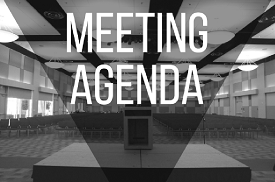 Also held at the annual conference, is the annual business meeting of members, this is an opportunity for the VSTAP leadership to update the membership on the state of affairs, conduct a financial review and install newly elected board members. SAVE THE DATE: The Annual Conference will be held from June 10-12, 2019 at the Stonewall Jackson Hotel in Staunton, Virginia. 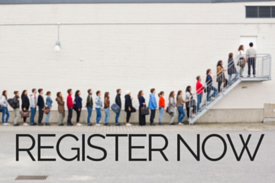 Conference details including registration, program schedule, course and speaker details coming soon! 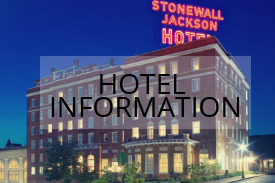 Nestled in Historic Downtown Staunton in the heart of the picturesque Shenandoah Valley, the Stonewall Jackson Hotel captures the spirit, history and charm of the old South. Originally built in 1924 and a member of Historic Hotels of America, this modern yet refined Virginia gem underwent a complete top to bottom renovation in 2005 and has been lovingly restored to it’s original grandeur. Staunton was recently named as one of the top 20 Small Towns in America by Smithsonian Magazine. 5:30 PM Social Event - Details Coming Soon!